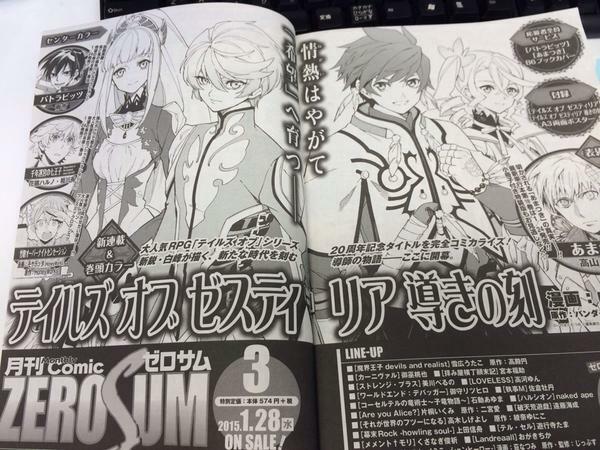 The comic will start on the Comic Zero Sum issue that will be released this January 28, 2015. 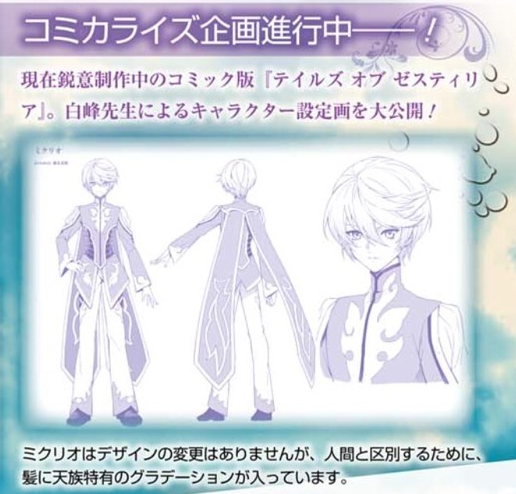 The manga will be drawn by Shiramine ( ?? 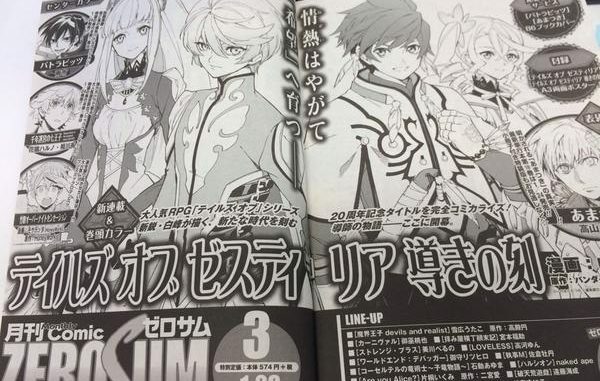 ), who will also be running a manga for the first time in Zero Sum. 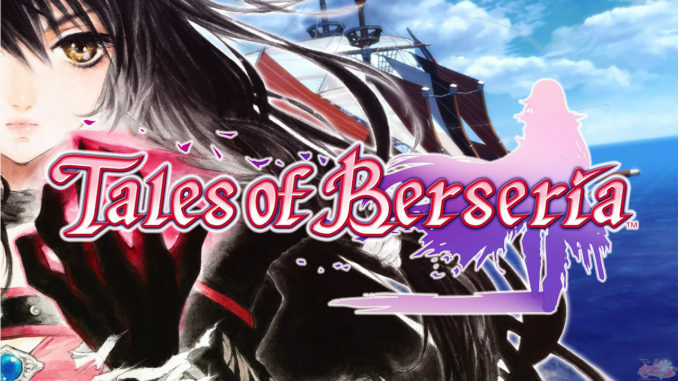 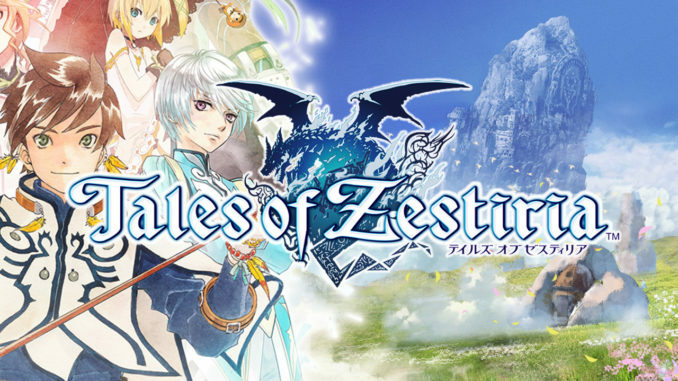 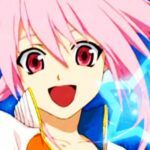 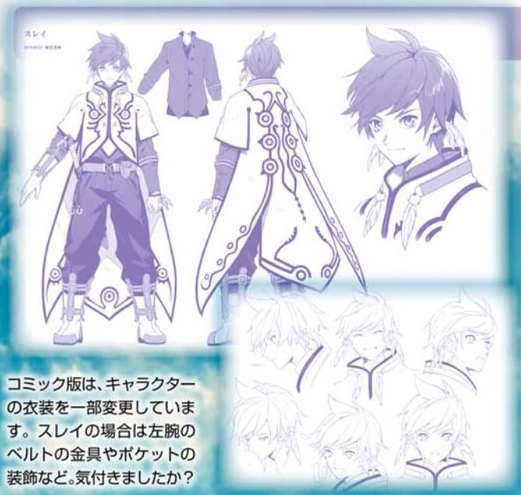 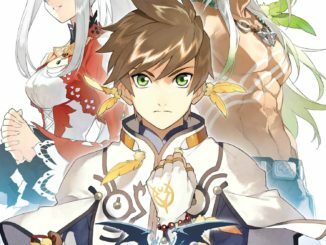 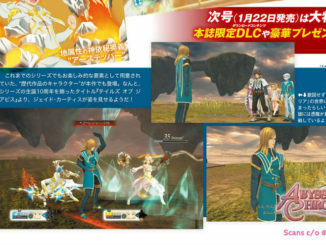 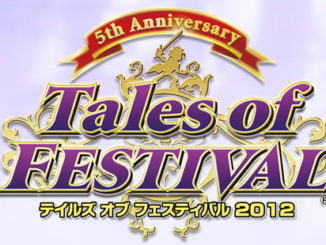 Tales of Festival 2012 Day 1 and Day 2 Live Blog (...Sort of...) - Event Over!